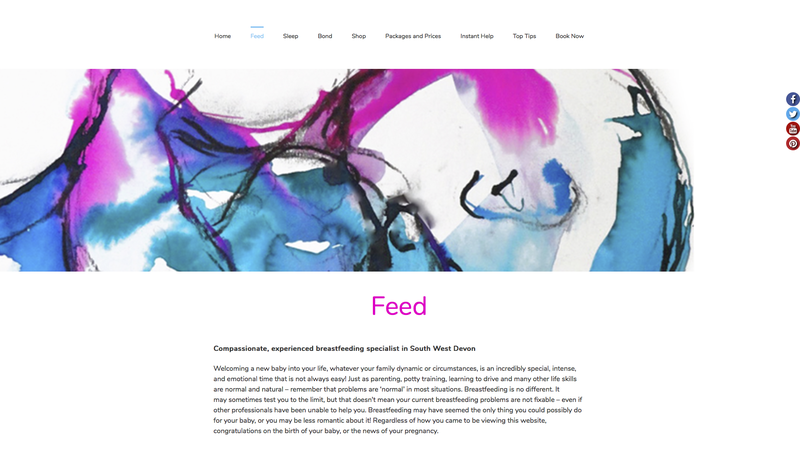 Feed Sleep Bond offers lactation, sleep and behaviour advice, online training and coaching resources for parents and families as well as health and childcare professionals. 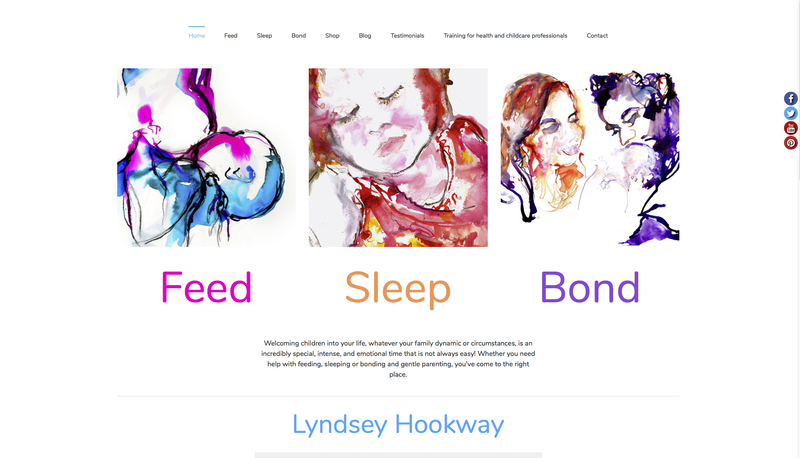 Feed Sleep Bond was set-up by Lyndsey Hookway, a lactation, behaviour and sleep specialist with many years experience working with babies, children, families and healthcare professionals. Lyndsey recently relocated to Devon and took the opportunity to rebrand and simplify her online presence whilst expanding her audience online with the offer of remote webinars and online training. 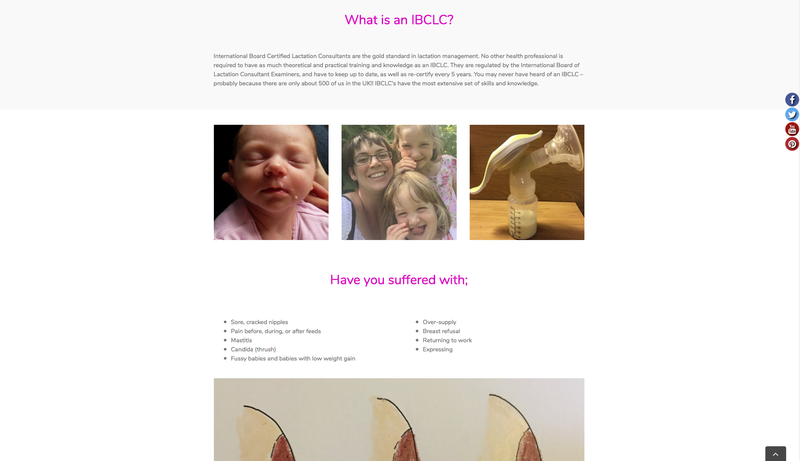 This required the addition of an online shop to the website which provides a mixture of downloadable resources, videos, access to live training sessions and one-to-one consultations. 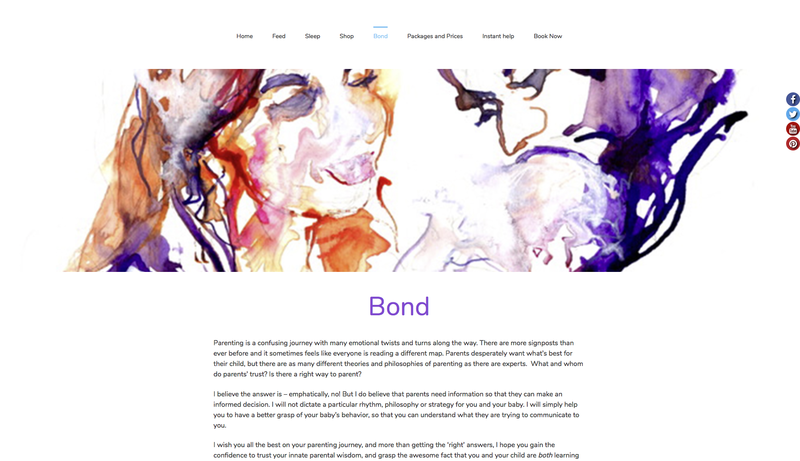 The website was designed around the three areas of Feed Sleep Bond, each adopting a different colour scheme and using thematically relevant watercolour-style life sketches for the main header image of each section. 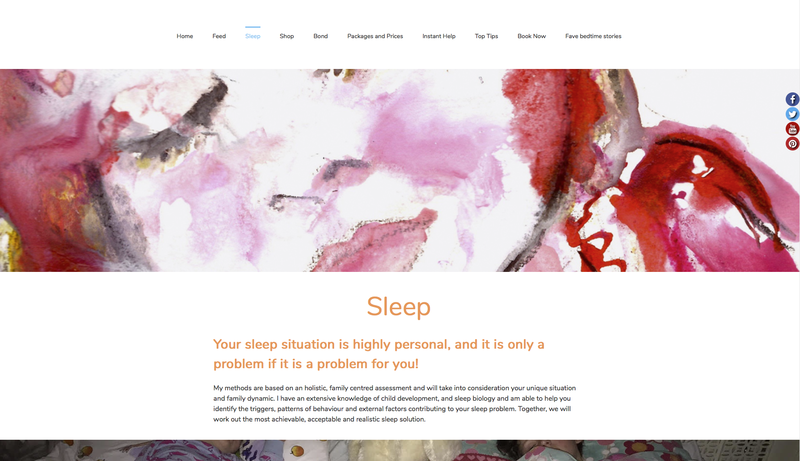 Once within each section, the top navigation menu changes to direct users to other useful pages on that specific topic, including top tips on the subject as well as package and price details for the online training resources and consultations available through Feed Sleep Bond. Lyndsey is a prolific blogger, offering personable and non-judgemental advice to those in need and so it was important that we made sure that all of her previous posts were transferred over to the new site and that she had a good platform to continue sharing her words of wisdom. We also optimised the website’s content to give this new domain the best chance possible for her target audience to find her.